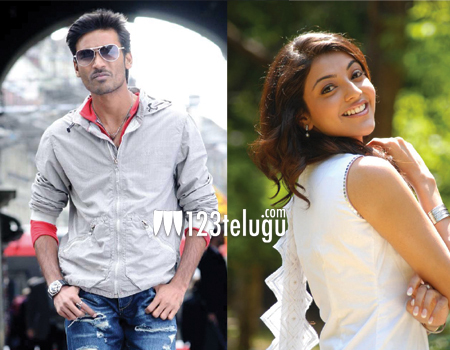 Kajal bags Dhanush’s film ? Kajal Agarwal has been staying away from kollywood for a while. According to sources, she is all set for a huge comeback. If the latest news is to be believed, Kajal will be teaming up with Dhanush for the first time. This movie will be directed by Balaji Mohan and more details will be revealed soon. Mean while Dhanush is busy with his bollywood movie ‘Shamitabh’ and is also waiting for ‘Anegan’ to release.